Russia’s President Vladimir Putin has ordered a daily humanitarian pause in fighting in the Eastern Ghouta enclave in Syria. The rebel-held area has been under intense bombardment by the Syrian government, with Russian backing, for over a week. It has led to more than 540 deaths, according to monitoring groups. The United Nations Security Council called for a 30-day ceasefire on Saturday. The resolution demanded that “all parties cease hostilities without delay”, and also called for aid deliveries and medical evacuations to be allowed. 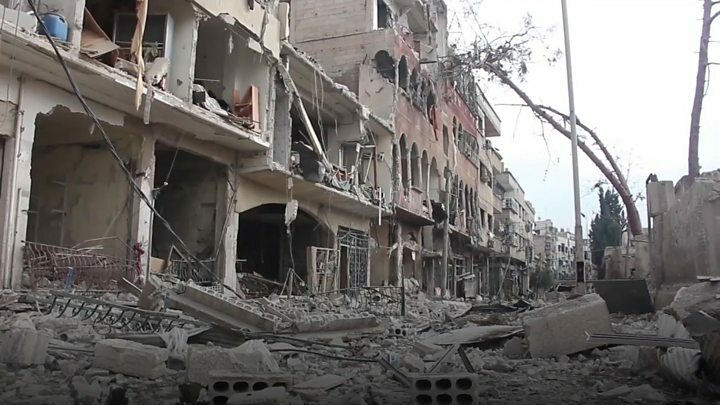 The Eastern Ghouta is the last major rebel-held area near the capital, Damascus, and has been besieged since 2013 by the Syrian military with support from Russia and Iran-backed militias. ← Can you predict a recession by looking at pregnancy rates?